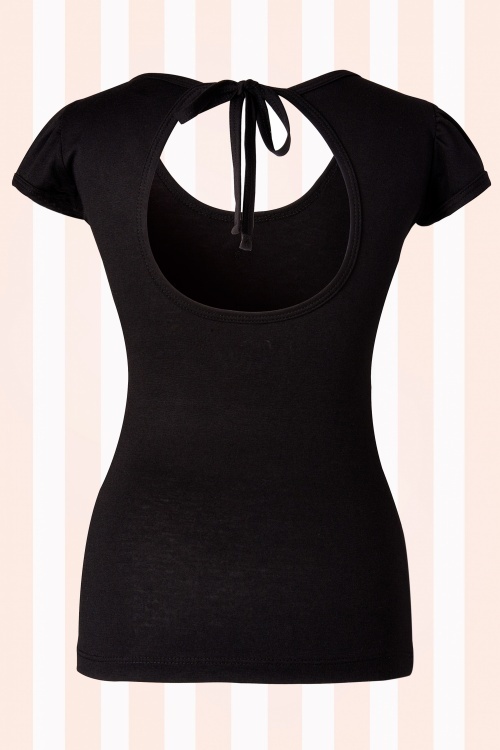 The Magnolia Bow Top Black from Steady Clothing. This fun top looks good on everyone ánd... exclusively available at TopVintage! You can dress it up with a skirt or make it a casual day and pair with some jeans. Either way, you’ll still turn heads at the car shows with the amazing fit and exposed back. Made with jersey. 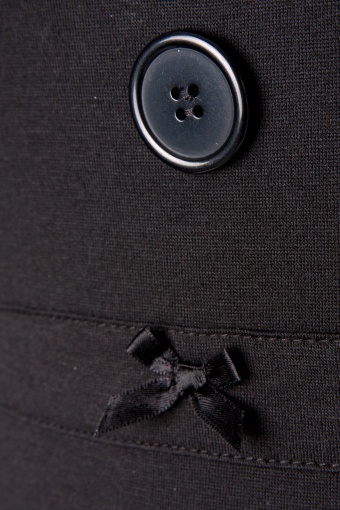 And has 3 cute buttons and a bow for detail.